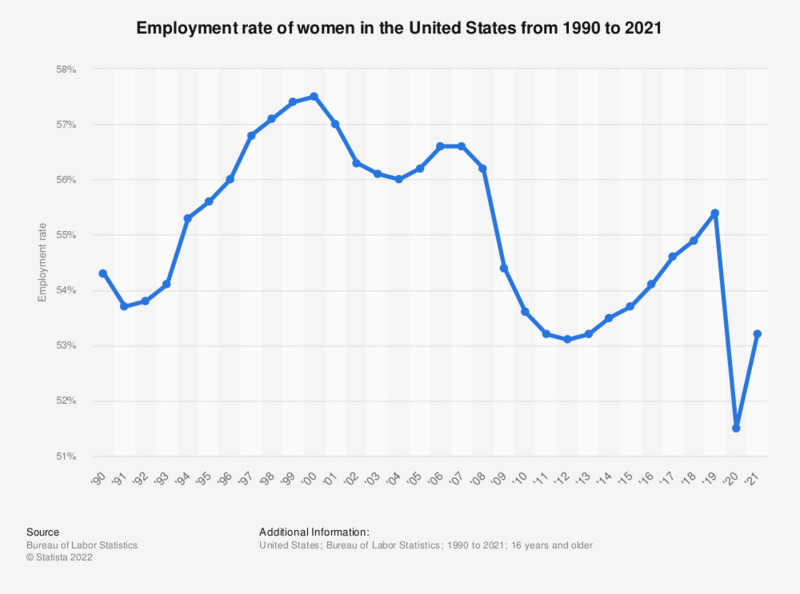 This statistic shows the employment rate of women in the United States from 1990 to 2018. In 2018, the employment rate of U.S. women stood at 54.9 percent. The numbers are based on the employment-population ratio. How much do you spend on hair dyes for yourself in a year?